Oval-shaped carabiner decreases the chances of cross loading the gate and distributes the load evenly making it ideal for use with pulleys. It is easy to handle and clip to any pulley for climbing applications. Strong and versatile with an alloy steel body & auto-locking gate. Meets ANSI Z 359.1 standards. This aluminum, light-weight, swing-side, double pulley is a great choice for a variety of industrial..
Stitched loops of 18mm wide nylon webbing. Ideal for extending quickdraws or creating anchors. 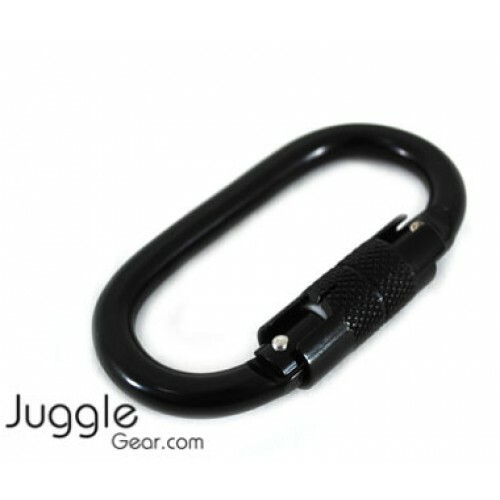 P..
ROCK 'D'STAINLESSThe rockD ANSI Stainless carabiner combines the heavy duty ANSI gate with the compa.. The two large 1.3" (32mm) eyes are ideal for use with webbing, and allows for connection of multiple..